Creating a distinctive logo mark is yet another avenue to build and communicate your church’s brand in addition to fonts and colors. While this can often be the most challenging (and expensive) part of the process, it can make a big impact when done well. I will begin this post by repeating what I said above: this is often the most challenging and potentially expensive part of the process. Creating an effective logo unfortunately takes more than just a really good idea, which is itself hard enough to develop. Creating a logo requires technical skill with a specific type of design program and file that aren’t beginner-friendly. This doesn’t mean it is impossible, and there are some ways to cheat that I describe toward the end of this post. However, this is the step for which you are most likely to require a paid designer (on your staff or external). The end of the post also includes a brief discussion on where to look. 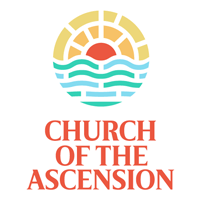 I will note two things here: some churches in specific contexts may wish to downplay denominational connections, and some denominational logos may not give the right feel (many scream 1970s!). However, this is a simple solution to a problem that has significantly worse solutions (like generic logos or <shudder> clip art…). However, this doesn’t mean you should stop reading at this point! Even if you turn to outside help, you want to be involved in the process. You want to be able to give direction and feedback. At the very least, you will want to give your designer the work you have already done on fonts and colors, as well as provide examples of the look and feel you are going for. This post will help you think through what you should be considering and how to communicate with the designer in a way you both can understand. Your ultimate goal is to look at your logo/mark and think, “Yes, that is us!” It cannot tell the full detailed story of your organization, but it should give the right feel. While it is difficult to create something as completely unique and iconic as the Nike Swoosh or McDonald’s Golden Arches, if your logo can apply to any other ministry in your town just as easily and effectively as your own, you have literally missed the mark (minus denominational logos, of course). As we touched on with colors, it is important that your logo make sense and stand out for you within your particular context. For example, Starbucks sells some travel mugs that don’t even have their logo on them—just a blank circle where the logo would be. If I showed you a blank circle and asked you to guess the company, you would likely draw a blank. But Starbucks has so owned the circle shape in the realm of coffee that it is instantly recognizable! This brings up the idea that your logo should be simple. This doesn’t mean it can’t have detail, but the more complicated or complex it is, the harder it will be not only to reproduce but also recognize. The impact of a logo should be immediate. If you have to stand there for a second or two and try to figure it out, or if you have to explain what it means, it is likely too complex or too clever. Using a mark alongside or even without your church name is also helpful if you live in a multicultural and specifically multilingual community. The ability to communicate without words helps bridge language barriers. Take a look at this list of the 50 most iconic brand logos put together by Complex. Take note of what stands out to you about each one. How do they communicate something about the company or product? I specifically like how it depicts the evolution of each logo over time. In the last post, we linked to a great article from Entrepreneur that referenced Stanford professor Jennifer Aaker’s 5 primary brand personalities. We discussed the need to focus in on one personality when choosing colors. The same goes for your logo. While the 5 are all positive attributes in their own way, the clearest and strongest mark will communicate one above all others. I have gone through Church Relevance’s list of top church logos and selected the ones that I feel best illustrate each personality. While there are many ways to communicate sincerity, one of the easier ways is making your work look hand-done. I like that they have turned the “o” of “love” into a speech bubble with a heart in it. 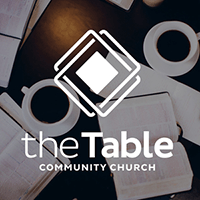 This can be a standalone mark that represents the entire church and can become recognizable if displayed frequently and consistently. 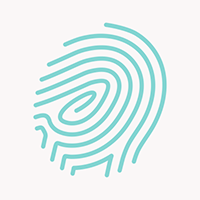 I love that this logo utilizes the imagery of a fingerprint (with a little “e” for “Encounter Church” in the middle). It is a reminder to me that the church is an organization, but it is an organization of people. In addition, since each fingerprint is unique, in my mind it subtly communicates that there is room for each unique person at this church. That gets me excited. Note: you may pick up that my description is very “pastoral,” which makes sense as I am a pastor. 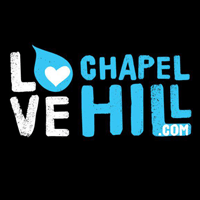 I would want to run this logo by people who aren’t pastors (or even involved with church) to get their feedback since it is a very non-traditional church logo. This is a good practice no matter what your design looks like. This was a really hard one for me to select, in part because competence is very subjective. I ended up choosing the Imago Dei logo because they took a traditional Christian symbol (the Borromean Rings representing the Trinity) and gave it a modern refresh. They made the rings a little thicker, used an outlining method to create distinction where the overlaps occur, and they used a small amount of “distressing” to make it look a little worn. This last element, while subtle, ties in with the church name “Imago Dei” or image of God. We are made in the image of God, but we are not perfect, so this traditional symbol with a little bit of wear on it reflects the humanity of the church. The modern update to a traditional symbol makes me feel as though they would give the same care and respect to the traditions of the church. You can’t get away with a bad logo in Brooklyn. It is a place of culture and art. Perhaps its most famous icon is the Brooklyn Bridge. This logo takes the familiar outline of the bridge and adds to its two tapered openings a smaller third opening just above. This simple addition transforms the shapes into the look of a cathedral window. The combination of clean lines, solid and strong rectangular shape, nod to the local icon, and subtle religious tone says “sophistication” to me. With this logo, the type and the image work exceptionally well together. The script font is executed with breaks in the letters to resemble a stencil–like you would find spray painted on a box. It is paired with the imagery of mountains and pine trees, which fit for a church based in Tacoma, Washington. The mixture of the earthy colors, stenciled script, and outdoors imagery all give it a rugged feel. 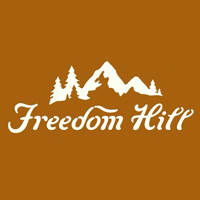 My only concern is that this logo could easily represent camping gear or an outerwear company. The church would have to work hard to be sure the fact that they are a church comes through when people interact with the brand in various contexts. You will notice that none of the five logos above include crosses. 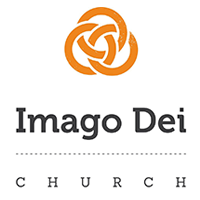 In fact, the Imago Dei logo is the only one that bears a truly traditional religious symbol. I give passes somewhat to the heart and the church/cathedral window shape, while noting with the fingerprint and the nature elements that there may be a disconnect. This was not an intentional choice to exclude crosses, and I am generally in favor of including them. The cross is one of the strongest symbols and is instantly recognizable. However, as with denominational logos, there are certain contexts in which churches and ministries may choose not to use the cross—especially if the people they most want to reach no longer see it as a sign of hope and Christ’s victory but as a symbol for the failings of the human organization. Whether you choose to use a cross or not, I hope that it is an intentional part of your discussion and discernment process. There are lots of places to look for inspiration when it comes to imagery. Here are a few to get you started. The church examples below (minus the UMC) come from CSSReligion’s Church Logo Pinterest Board. Draw inspiration from a distinctive feature of your church’s or community’s architecture—like a bell tower, a stained glass window, or the Brooklyn Bridge! In the example below, the distinctive tower is styled like stained glass. You can be as explicit as including a mountain and pine trees like Freedom Hill (located in the Pacific Northwest), or you can be more subtle, like including representations of water if your church is on a lake or near a beach. In the example below, the church is just a few blocks from the water in Seattle. We very rarely ever drink Coke out of a glass bottle anymore, yet the outline of the curvy bottle is one of their iconic marks. 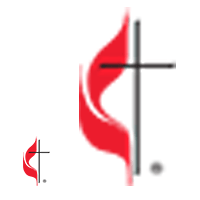 My own denomination’s logo is the cross and flame, which represent Christ and the Holy Spirit. 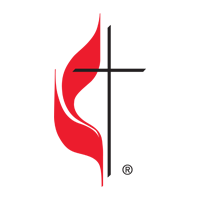 The flame is also composed of two parts representing the two denominations that merged to create the United Methodist Church. While this overlaps with the selection of a font for a logotype, you can use a distinctive font or layout of initials as a logo. Think of the interlocking NY of the New York Yankess or “f” in the blue block of Facebook. Below are four examples of church logos that rely on letters either explicitly or subtly. While the Apple logo is exceptionally well designed, it helps that the company’s name is Apple. It is much harder when you are trying to create a mark for words like grace or resurrection. A great example of this is the choice by Evernote to use an elephant. They are an app for taking notes and collecting virtually anything that can be catalogued and organized. 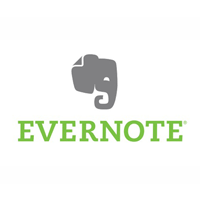 By playing on the idea that “an elephant never forgets,” you get the feeling that Evernote won’t forget or lose anything either (and neither will you if you use it). When you begin to work through this process, you may find that you need to go back and tweak previous choices of fonts and colors. If you had settled on a shade of blue, but the water droplet in your logo just doesn’t look right—tweak your shade of blue. 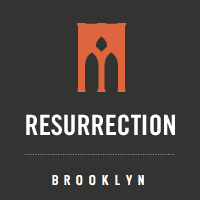 Part of what makes the Resurrection Brooklyn logo and font work well together is that it uses a condensed font, mirroring the tall rectangular shape of the bridge icon. Be willing to adjust to make sure the whole package looks good together. Along these lines, if you choose to work with a professional designer, it is ok to give them the fonts and color palette you have been considering. More importantly, let them know why you made the choices that you did. That way, the designer can use them as a starting point but can stay true to your intent if changes need to be made. Is this reproducible at all sizes? As with your font choices, think about how the logo would look on everything from a large sign down to the pen in your welcome pack. Again, thin and/or small details are hard to reproduce at small sizes. Is it reproducible in various colors? The logo needs to work in less than full color. The more colors your print on a t-shirt, the more the t-shirts will cost. Color printing is more costly than black and white. There are lots of cool logos nowadays that use textures, transparency, and gradients to look like everything from stained glass to watercolors to shiny metal. However, you are going to have a hard time replicating that in screen printing, embroidery, vinyl banners, etc. Your logo should work in at least three color palettes: full color, grayscale, and one color (essentially black and white). Your designer should also specifically create the logo in these formats so that they look their best. Printing your color logo file on a black and white printer will fake a grayscale version, but it may not give you the degree of contrast you want. Your designer can achieve this by specifically selecting the shades of gray. 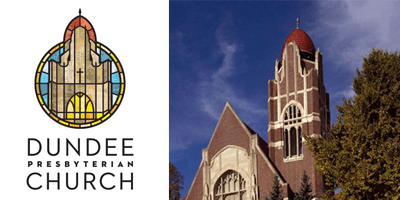 Below is the logo for Dundee Presbyterian Church that we looked at earlier. It is broken down into full color, grayscale, and one color. For more on this cool design, check out Webster Design. Is it visible over contrast/texture? Your logo is likely going to end up on more than just a blank background. Try placing it over photographs, patterns, and textures. Does it still look good or do some details get lost? Below is Newspring Church’s logo over various backgrounds. While you would want to play with the colors so that they match better, the point is that the logo doesn’t get lost on a busier background. This shouldn’t be a huge factor, but it is something to consider since you will want consistency. Does the visual style of your logo work on your bulletin? Will it work on your website? Can you create social media graphics or posters for events that mirror the style? Can volunteers recreate it relatively easily without needing to be an artist? These are the two primary types of files. A rasterized file stores pixel data (the dots that make up the image). These include JPEGs and PNGs. Because the file is storing a literal map of all the pixels, when you change the size, it has to guess how to adjust to the new size. When you try to make a rasterized image bigger, it gets blurry, which is bad. Below is an extreme example of what it looks like when you try to make a raster file larger, taking a 50px tall image and stretching it to just under 200 px tall. A vector file essentially stores mathematical information about its image, including relative distances and angles. This means that the design program you use is able to redraw the image at any size you want. This is how you can have a perfect Goodyear logo on a the side of a blimp. These files tend to be marked as AI or EPS. AI is the specific type of file that is used in the vector drawing program Adobe Illustrator. EPS is a more general format that can be opened by most programs. Logos should be created in a vector drawing program like Adobe Illustrator (or a free alternative like Inkscape). They should be saved and delivered to you in vector formats (you can certainly get raster versions in various sizes as well). I told you early in this post that I was going to teach you how to cheat. If you have an advanced program like Adobe Illustrator, it may have the capability to convert something to vector shapes. For example, if you are not good with drawing on computers, but you design a logo on paper that you really like, you can scan it into a computer and use Illustrator’s “Live Trace” function to create a vector version. There are lots of options in the settings to help it come out looking better (which I won’t go into here), however it will likely not end up as clean and professional as one done in the computer. It is likely better to take your concept to a designer and see what they can do with it. The first place you should consider getting a logo is from a local designer. Just like eating and shopping local, you have the opportunity to support a local artist. If you are upfront with them about your budget, they may be able to work with you. This could be an opportunity to create a strong local relationship. Jay Kranda, the online pastor for Saddleback Church, recently recommended CreativeChurchStaffing.com on a podcast that he hosts. I have not seen any of their work, but he spoke highly of them. They are essentially an online church design department. They can do everything from branding (identity, logos, websites) to particular projects like sermon series, event, or social media graphics. You should also consider a nearby college/university. The woman who designed the Nike swoosh was a college student, and they paid her $35 (and much more later). If you have a campus nearby, post some fliers. If you are not so nearby, try calling the art department or placing an ad in the student newspaper or the college town’s Craigslist. Another place you can turn is a company called 99designs. Essentially, you create a “contest” by describing what you’re looking for (they do design of all kinds from logos to book covers to web design). Designers then submit their entries. When you pick a logo, the winner get paid. If you don’t like any of them, you get your money back. The more money you pay on the font end, the bigger the “prize,” and better designers generally compete for the bigger prizes. There is some controversy in the design community about this practice, as this leads to lots of designers doing lots of work and not getting paid when they don’t win. If that doesn’t bother you, check out this post from Pro Church Tools’ Brady Shearer on a detailed look at his experience. A final option to consider is a logo template or stock graphic you can adapt. While you can take something, make it your own, and build a branding package around it that makes it meaningful, it can lack the personality and specificity that makes solid branding great. Linked in the section above is Creative Market’s selection of logo templates.